Just because it’s possible, I installed a sensor on my mailbox at the front door. 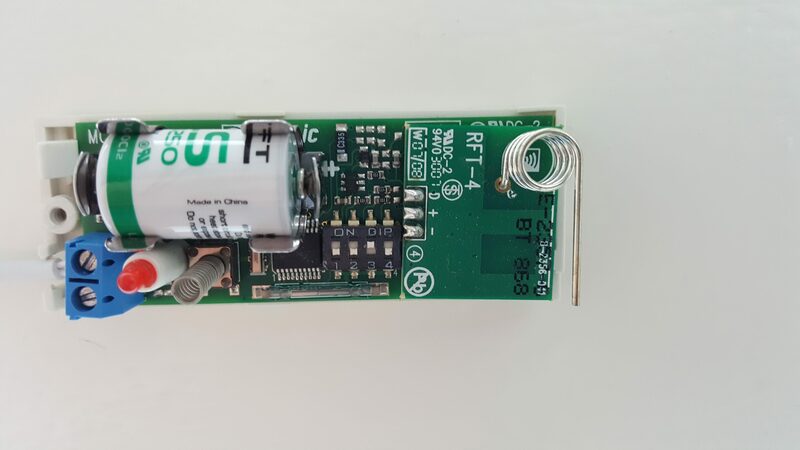 A left over sensor from a door that don’t need security anymore, the Visonic MCT-302T (868,95 Mhz), which is received by the RFXCOM. The Visonic MCT-302T have two switches, a reed/magnet contact and an auxiliary with a terminal block connector (2-pins). A 2-pin dry contact sensor can be connected to the Visonic sensor. I found a normally closed (NC) sensor, which should fit the case. To install it in the mailbox (in my case ín the frontdoor) the size was the biggest challenge. I used another magnet (flat round magnet from the Sensative doorsensor) to install on the flap itself, because it could be possible that the person who open the mailbox, can touch that magnet. Smaller magnet is better in this case. 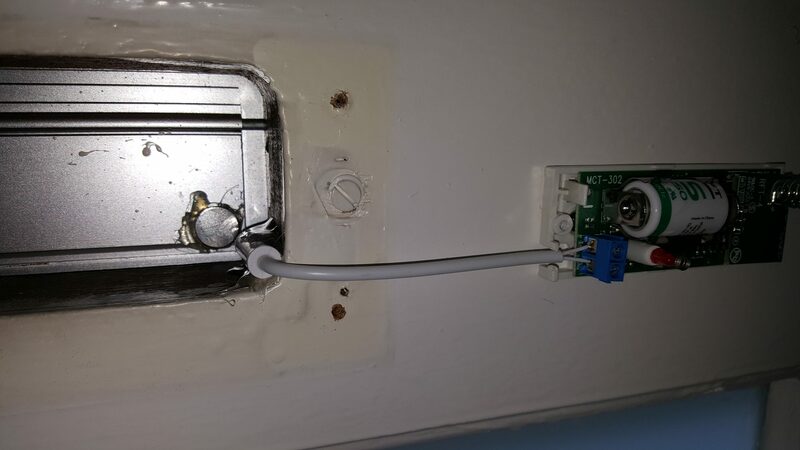 After the dipswitch change, the new sensor has to be included in your home automation system. Follow the procedure as decribed in your manual. The sensor will trigger when the magnet is in the rang of 15mm. 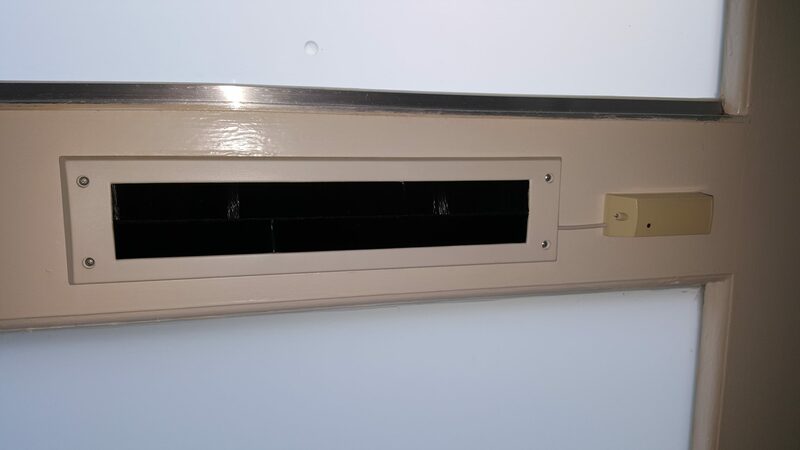 When the mailbox flap is closed, the space between the magnet and the sensor is almost 10mm, so a little movement from the flap will trigger the sensor.